Jim Igoe has been working for nearly two decades on the structuring effects of contemporary conservation practice in East Africa and the USA, on local peoples’ livelihoods, institutional engagements and cultural practices. His work can be found in his website Spectacle of Nature. 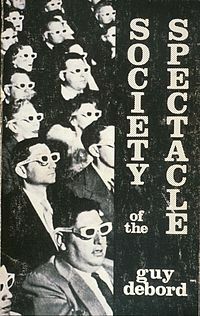 This title which reflects Jim’s current fascination with French theorist Guy Debord’s work, as best known from his 1967 text Society of the Spectacle. Jim and I have known each other since the 1990s. At this time we were both conducting ethnographic fieldwork in African contexts, and becoming increasingly concerned at what we witnessed and experienced as efforts by conservation NGOs to censor dissenting views regarding conservation practice. In 2007-2008 we joined forces to organize an event called Problematizing Neoliberal Conservation: Displaced and Disobedient Knowledge. In this we received significant support from Michel Pimbert at the International Institute for Environment and Development (IIED), London, Katja Neves and Dan Brockington. The event was one of several that has catalyzed the ongoing work of overlapping international networks of activists, scholars, journalists, and conservation practitioners. Our workshop was supported by funding from the Wenner-Gren Foundation for Anthropological Research, the International Institute for Environment and Development, and the Garfield Foundation. For details of the event please click here. A special edition of the practitioner and policy-oriented journal Current Conservation arose from this event and was published in 2009. This can be downloaded here. More recently, and with Dan Brockington, Jim and I have collaborated with several others to create the facebook site ‘Just Conservation‘. This seeks to act as an independent pubic space where issues and concerns regarding human rights in conservation practice can be shared and discussed relatively freely.